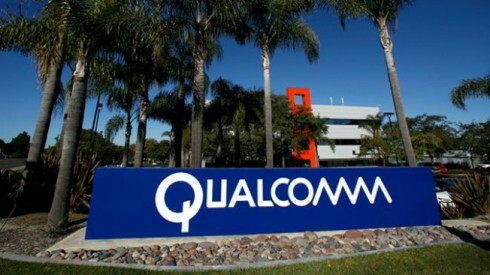 After moving away from its Snapdragon branding last week, Qualcomm has today taken the wraps off its first mobile platform aimed at bringing 4G LTE connectivity and services to entry-level feature phones. The chipmaker is said to have revamped the feature phone suite after close to three years, with a focus on rapidly growing markets such as India, Southeast Asia, and Latin America. Announced at an event in New Delhi, the 205 Mobile Platform includes Qualcomm’s 205 System-on-Chip (SoC) which is capable of delivering download speeds of 150Mpbs on 4G, 3G, and 2G networks. This is the highlight of their mobile platform and will be made possible, courtesy of the X5 Category 4 LTE modem coupled with a dual-core 1.1 GHz processor, Adreno GPU, and dualSIM support. The 205 Mobile Platform isn’t as advanced and feature-packed as its high-end counterparts, but it still packs some decent specs in this suite. It packs in support for Linux-based operating system, 480p VGA display, HD video streaming at 60fps, 3-megapixel rear lens, as well as 0.3-megapixel selfie camera. It also includes several connectivity options such as 802.11 b/g/n, Bluetooth 4.1, ANT+, FM radio. It will provide faster content streaming options to consumers, while also reducing the number of charges, thus, causing an increase in battery life. This will come in handy in rural areas or places with limited electricity support. Qualcomm Technologies is committed to the migration of users and networks from 2G, 2.5G, and 3G to 4G. Feature phones are a lifeline in many emerging countries and the Qualcomm 205 Mobile Platform allows us to bring 4G connectivity and services to the masses with devices at price points never seen before. Further, the official release continues to add that feature phones based on their new platform will enable consumers to easily jump ship from 2G or even 3G devices to affordable 4G-compatible phones. This mobile platform has been made available for OEMs and ODMs, starting today. The devices packed with this 4G-ready SoC should make it to the market by the second quarter of this year.